Vickie has been working in dentistry for 30 years now. 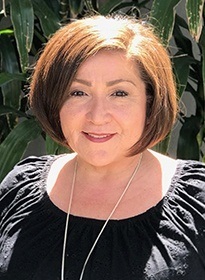 She studied dental assisting at Hacienda La Puente Adult School and is a certified dental assistant in addition to her administrative expertise. She loves making new friendships through her job and also working alongside such a great group of people. Vickie is from Pomona. Whenever she’s not busy at the practice, she enjoys making jewelry, being with her family, and fishing. 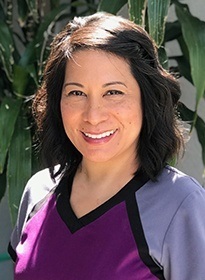 Valerie first joined the practice four years ago, and she has 17 years of overall experience in dentistry. She studied at Bryman College and is certified in CPR, radiation safety, and coronal polishing. She is also a specialist in OSHA compliance and labor management. Her favorite part of this job is getting to know the patients so well and making them smile! Originally from Azusa, Valerie and her husband were high school sweethearts. Together, they have a daughter named Janessa. Outside of work, she hangs out with her family, goes to the movies, and lives every moment to the fullest. Florilyn is from Eastvale and attended college at both Cal Poly Pomona and West Los Angeles College. Today, her experience in dentistry spans nearly 15 years! She is certified in CPR. 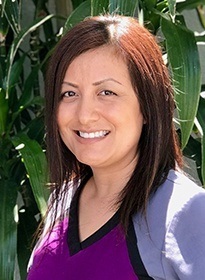 Helping patients maintain healthy smiles is her favorite part of this job, as well as getting the chance to meet people from all walks of life. She used to be painfully shy, but this kind of work has helped her confidence grow tremendously. Florilyn’s husband and two daughters teach her about love and life daily. Her hobbies include baking, playing Words with Friends, doing arts and crafts, and sleeping (when she can find the time)!